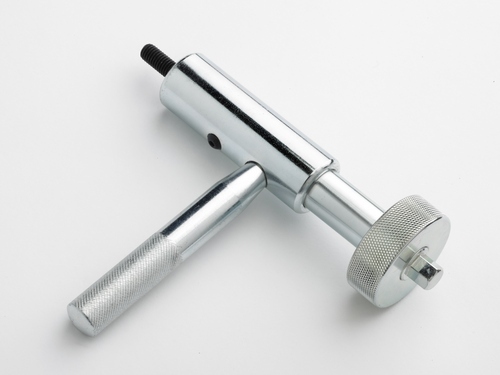 The only rivet nut hand tool manufactured in the UK! *M4 - M8 & #8 - 5/16 in A2 stainless steel only. This "spin" action tool (different from the conventional hand plier) is compact & versatile. Suitably contained in a durable polyproylene case measuring 32cm x 23cm x 8cm, it only takes seconds to assemble (instructions included). Patented design & UK manufacture. Standard grade 12.9 socket head cap screws as mandrels with spares supplied with tool. Worn or broken mandrels replaced in seconds. Case hardened components to ensure durability. 10mm ratchet spanner included to assist installing larger sizes. Metric/Unified Inch conversion kits available now! 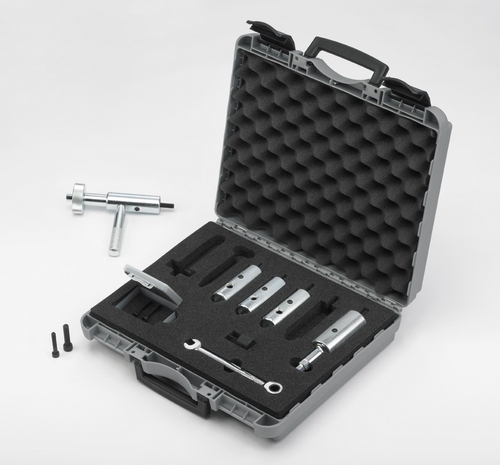 Rivet Stud conversion kits available now! Ease of use in applications having limited access - simply turn the knob until correct installation has been achieved. Perfect for use in small sheet metal workshops, kit car assembly / coach building or for the hobbist. Read the review of Kit Car Magazine's tech editor Nigel Dean here!